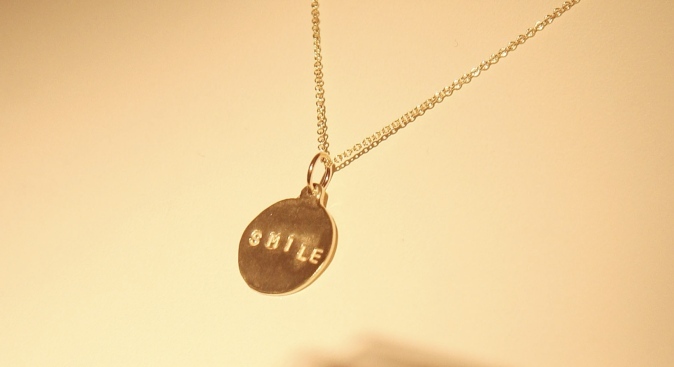 The "smile" charm by Helen Ficalora was created in honor of Jacob's Cure. Carrie Bradshaw had her “Carrie” necklace. Liz Lemon wears two “L” charms around her neck on 30 Rock. Now you too can have your name, initials, or any other whimsical charm around your Windy City neck, thanks to Helen Ficalora. The goddess designer of charm necklaces opened a shop in Lincoln Park last month. It's her fourth retail outlet, and the first in the Midwest. At the new store, take your pick of phrase or letter charms. Ficalora does pretty much anything well (we love her Millgrain bands too) but she’s best-known for her charms, which come in gold or silver. See more of her collection here, or take a stroll through her cotton-candy-colored store located at 2014 N. Halsted.